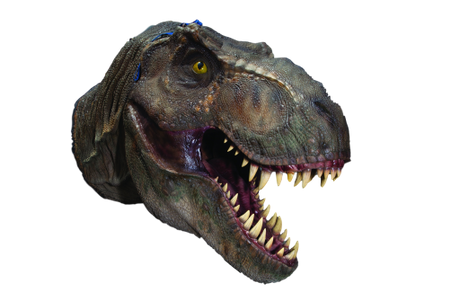 Available in 2 different wood types - Redwood and Ash. 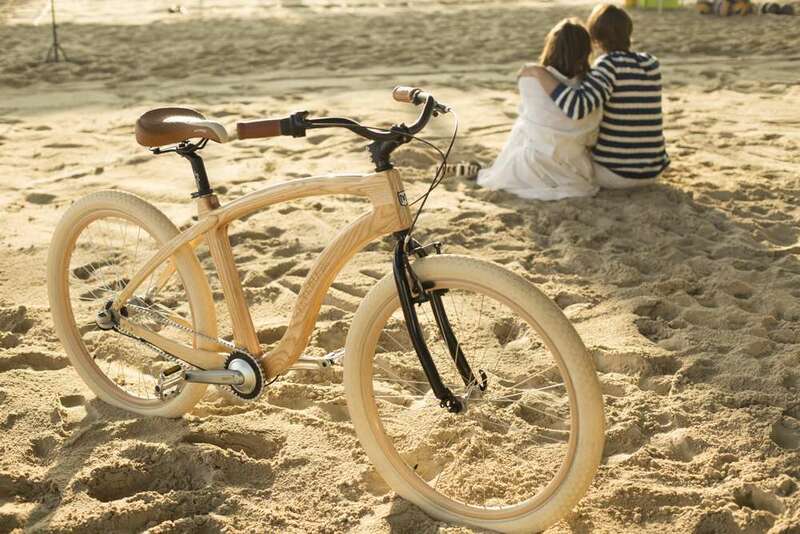 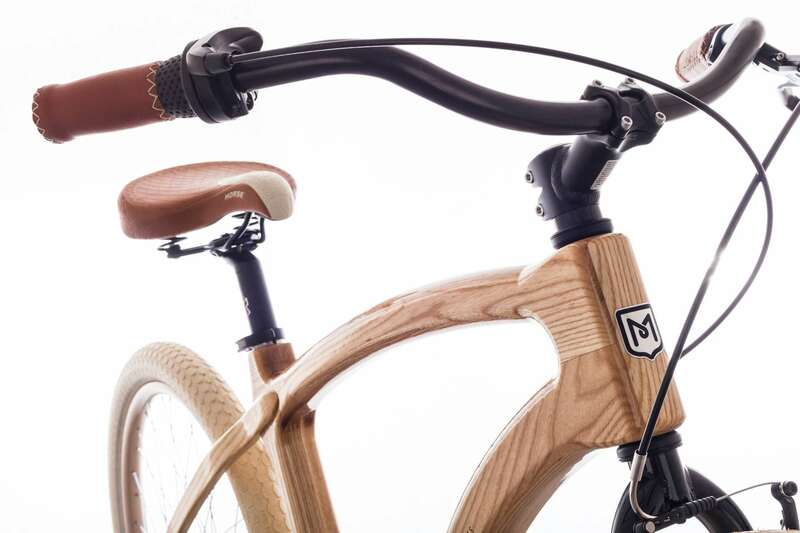 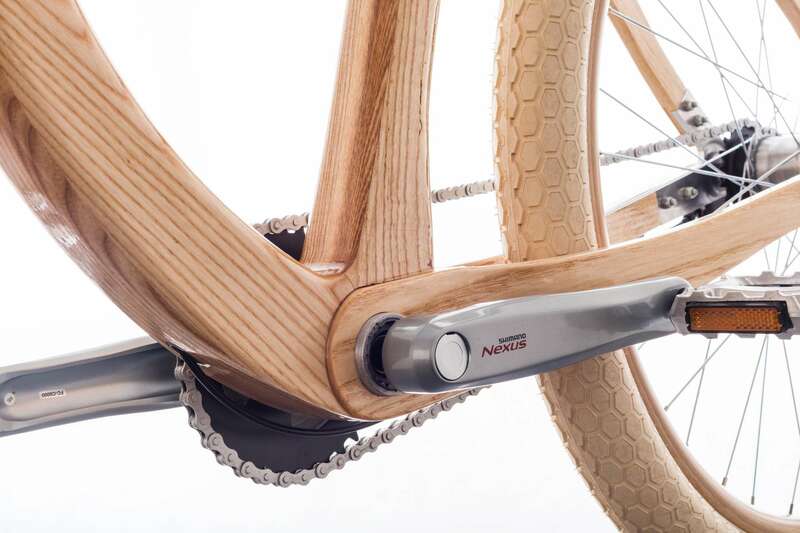 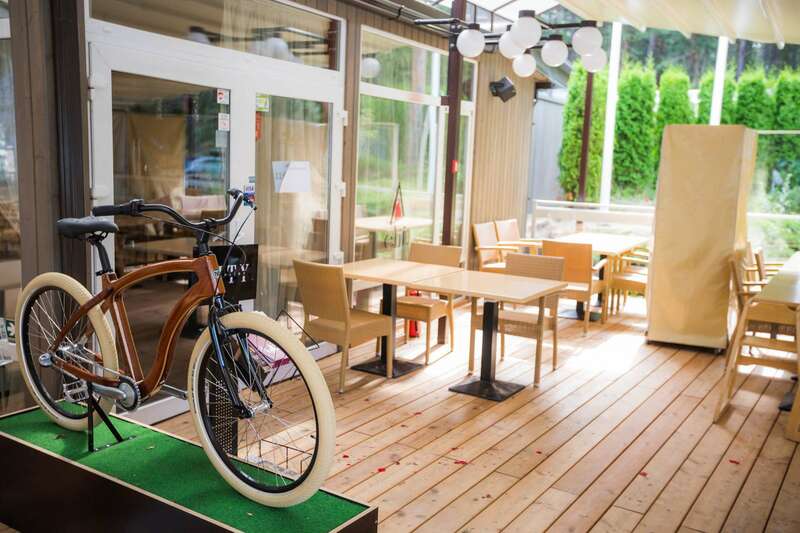 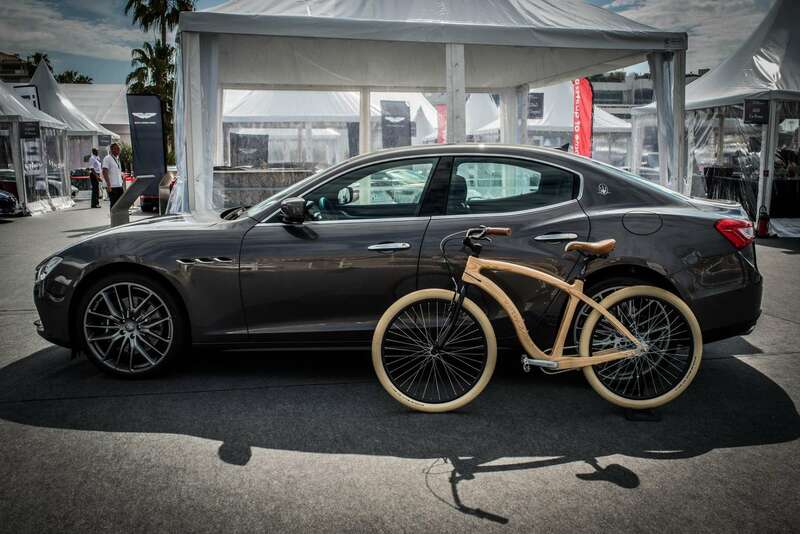 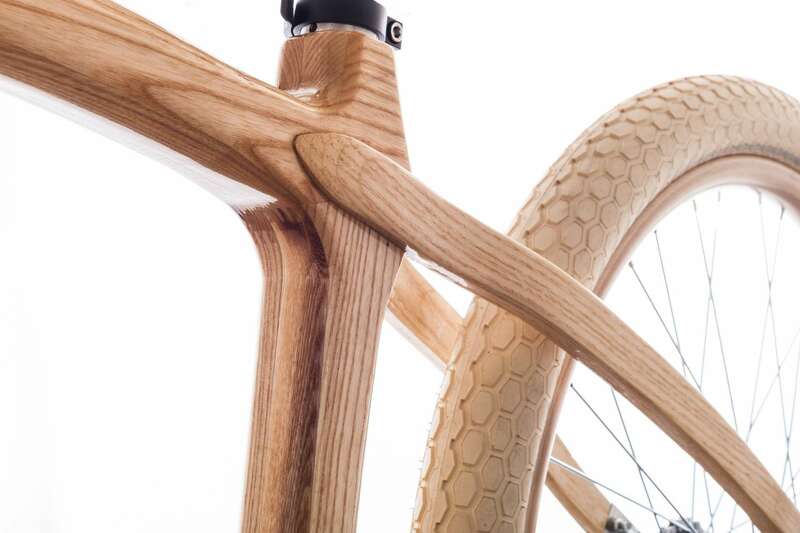 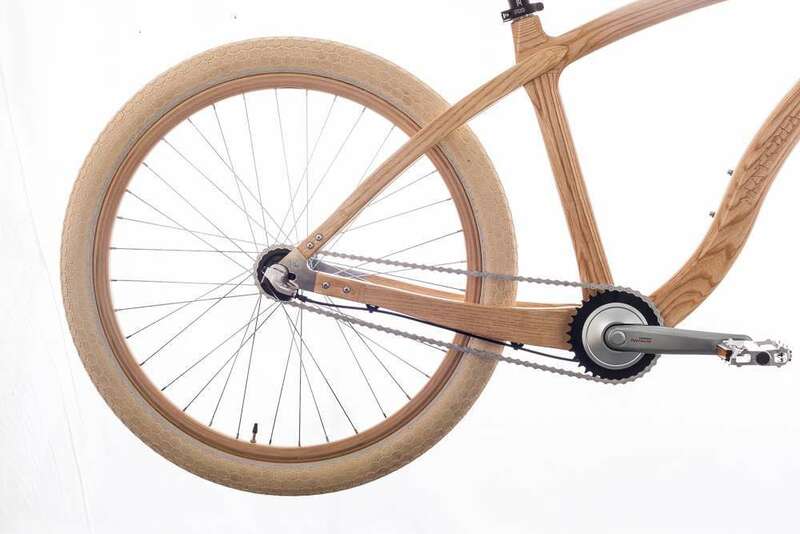 Materia Bikes has developed and is creating a wide range of serially handcrafted wooden bicycles. 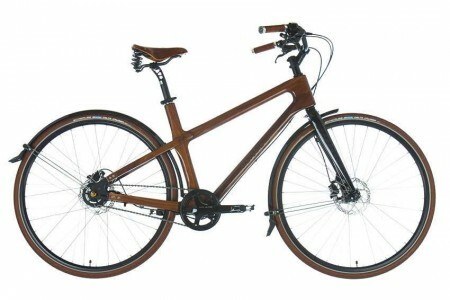 All the models are unique and created using luxurious wood and are assembled with the components from the leading companies like Shimano, Brooks and etc..
Our company has an excellent production team - passionate craftsmen with the ability to make substantial creations with a vast 20 years of experience in wood work and 10 years in professional cycling industry. 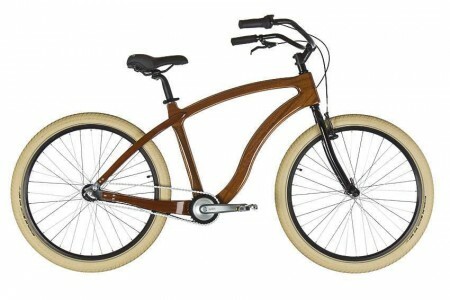 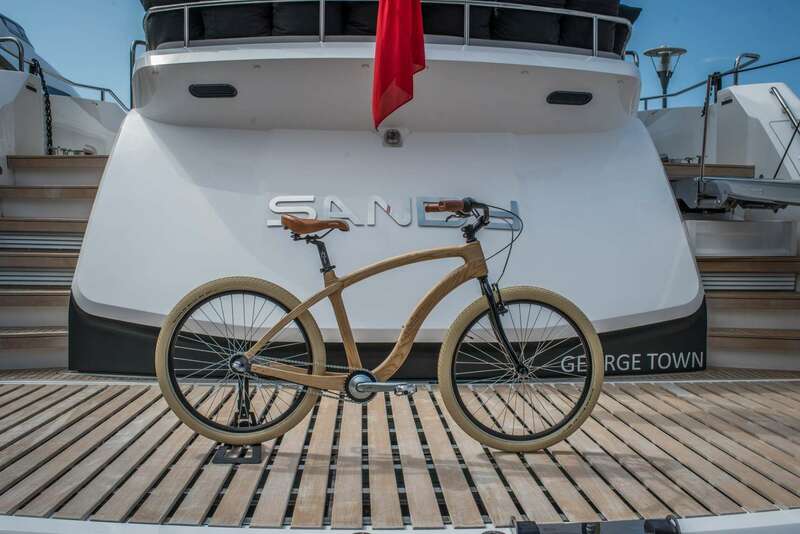 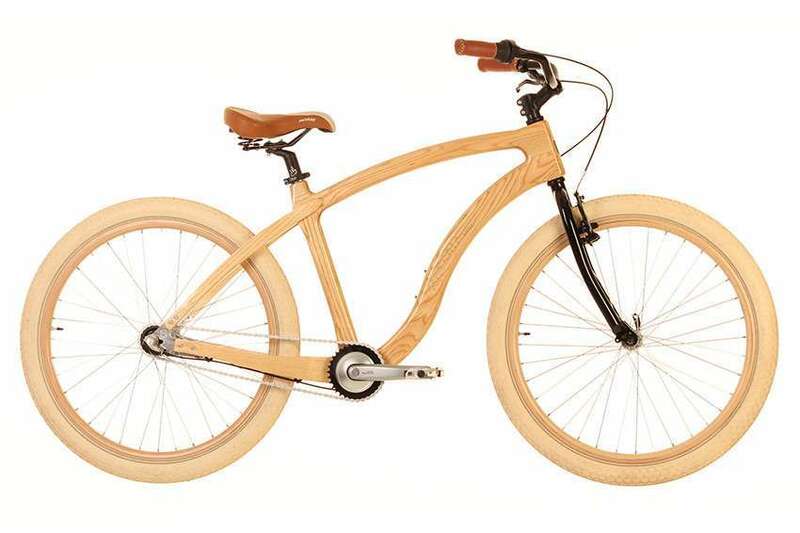 We provide several bicycle models for different occasions with assortment of high-quality wood to choose from. 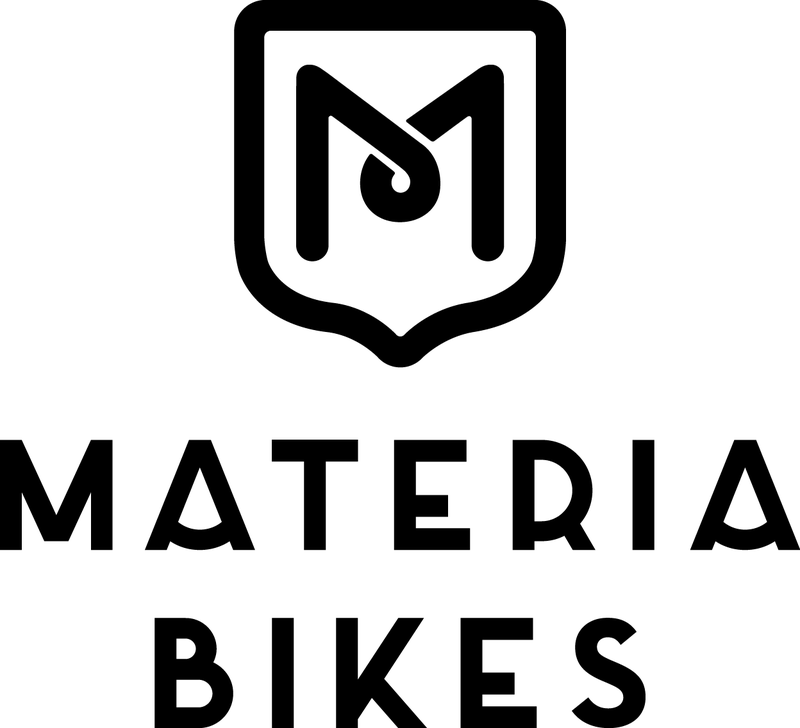 The team at Materia Bikes takes our work seriously. 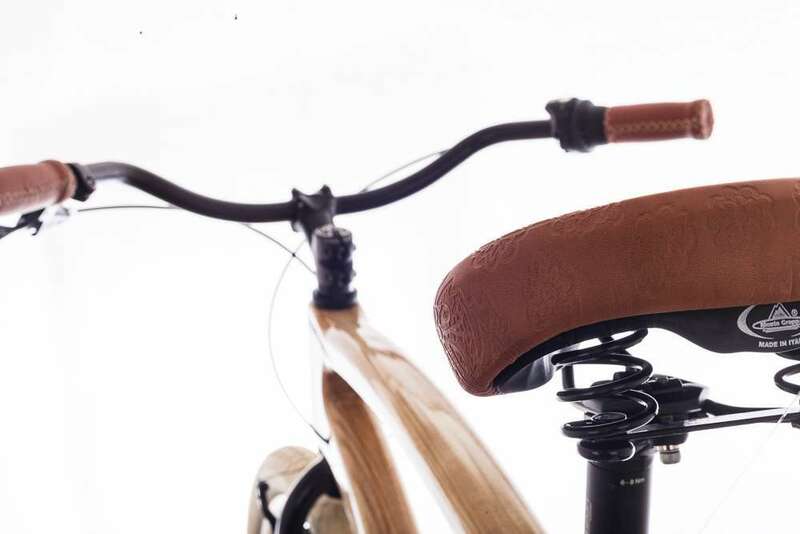 Safety and performance are key to the overall riding experience. 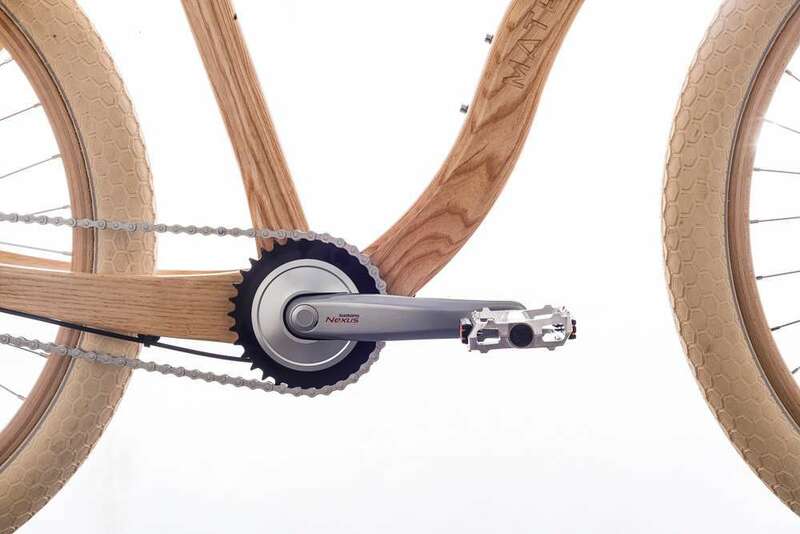 To ensure you feel safe when riding our wooden bikes, Materia Bikes is tested both in computer simulations and in a certified laboratory - the EFBE Prüftechnik in Germany. 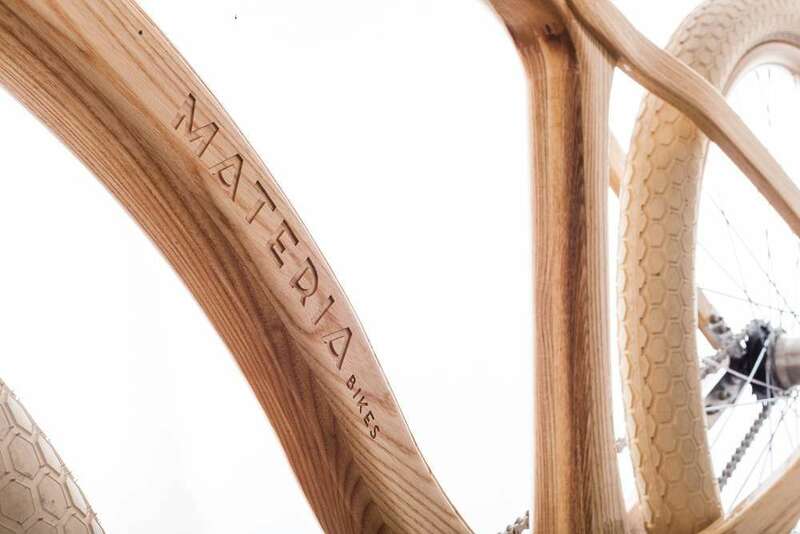 The Materia Bikes frame has a five-year warranty from the date of purchase. 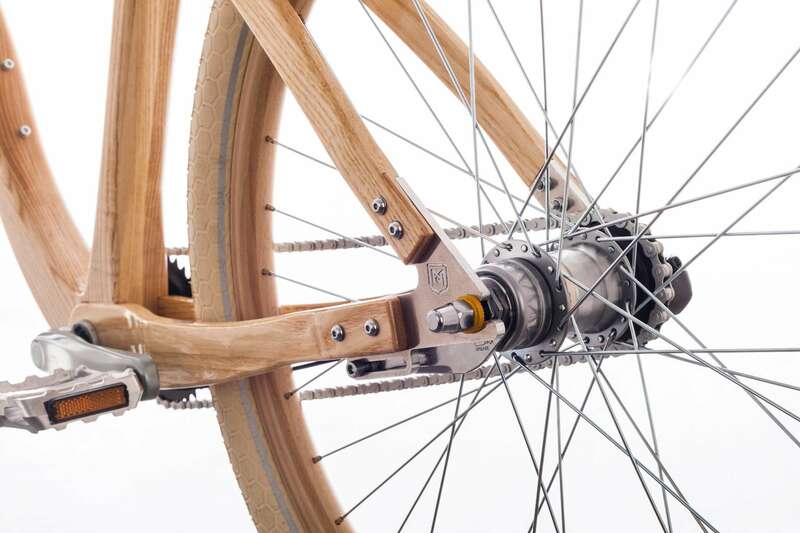 All other components on the Materia Bike are warranted for two years. 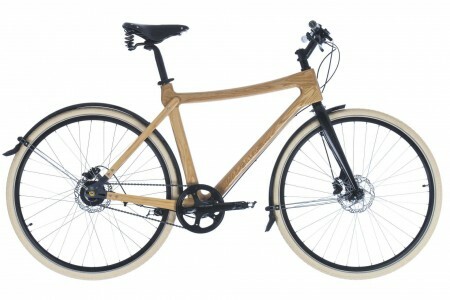 The warranty is valid for the original owner as registered with Materia Bikes and is non-transferable.